The visitor dictated a series of messages explaining that life on Earth is not the result of random evolution. Nor is it the work of a supernatural god. Instead, it is the creative product of extremely sophisticated genetic engineering techniques performed by the Elohim. These are highly advanced extraterrestrial scientists who made human beings “in their image”, what one could call “scientific creationism”. References to these extraterrestrial scientists and their work, as well as to their symbol of infinity, can be found in the ancient texts of many cultures. For example, in the Biblical account of the creation in Genesis, the word Elohim has been mistranslated by the singular word God. It is actually a plural word meaning “those who came from the sky.” The singular of Elohim is Eloha (also known as Allah). After being invited on a French TV show where he gave details of his encounter, thousands of people wanted to help him with his mission: to spread the messages they gave him and build an Embassy to welcome our Fathers from space. On October 7 1975, he had another encounter with the same extraterrestrial visitor who this time took him to their planet where he met previous Prophets such as Buddha, Moses, Jesus, Mohammed and some three dozen others who were all specially chosen and educated by the Elohim. He then started a world lecture tour, which took him to over 60 countries during which a number of people contacted him, ready to help him with his mission. 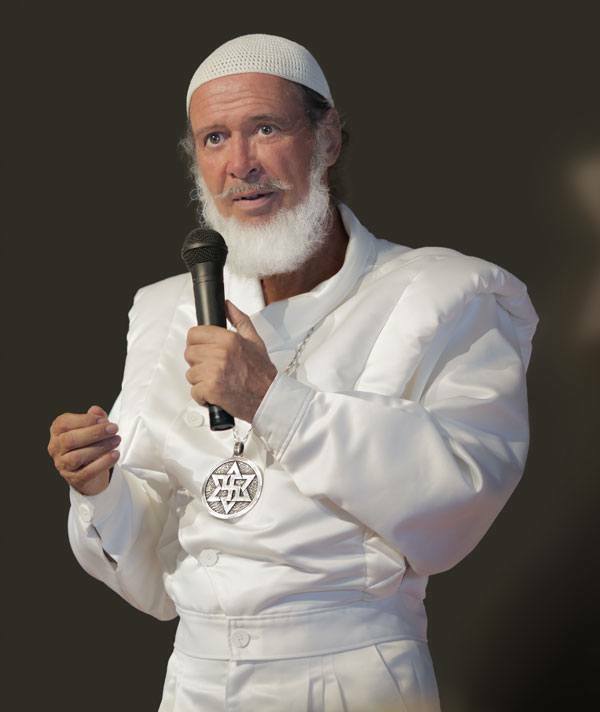 Today the Raelian Movement numbers more than 100,000 members in 115 countries and the time has come to start finding a country willing to host the Embassy to welcome our Fathers from space. Read his book: “Intelligent Design”. Download the FREE e-book.